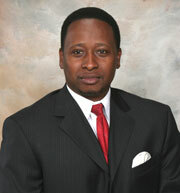 Hey Clayton County School Board: Swallow Your Pride & Hire Dr. Sam King! | Georgia Teachers Speak Out! Hey Clayton County School Board: Swallow Your Pride & Hire Dr. Sam King! The Clayton County Board of Education ought to hire Dr. Sam King, if he would be so kind to consider an offer from his “home” school system where he has spent most of his professional career. Dr. King came to Clayton County after a brief administrative stay in Georgetown, South Carolina. Prior to that, he began his teaching career in DeKalb County. He was born and raised in Sumter County, Georgia, and both of his parents were Georgia public school educators. In the mid-1990s, Dr. King returned to Georgia, becoming Assistant Principal at Oliver Elementary School in Clayton County. He stayed at this school for a couple of years, and it was obvious that he was a star on the rise. In mid-year, Dr. King was promoted to the principalship at Forest Park Middle School where, by all accounts, under his leadership, this school saw an upswing. The teachers were overjoyed that he took discipline under his wings and made the children behave. Dr. King was promoted to Assistant Superintendent of Schools in Clayton County, and about eight years ago, he accepted his current tenure as Superintendent of the Rockdale County School System. Dr. King has had the distinction of being named Georgia Superintendent of the Year by the Georgia School Superintendents Association (GSSA). I believe that he was been named GSSA’s Superintendent of the Year on two occasions. In the upcoming year, Dr. King will be the President of GSSA. This year, the Georgia School Board Association (GSBA) named Dr. King the Georgia Superintendent of the Year. What does Pam Adamson and her crew on the Clayton County Board of Education need? Do they need the Prophet Isaiah to rise from the dead to lead them by the hand to court Dr. King to return home? This school board should have hired Dr. King as the superintendent in 2009. What in the name of common sense possessed them to take this fellow from Chino Valley, California? The board members had better quit listening to lawyer Glenn Brock and his apparent one-man “search” team which delivers “one finalist.” Doesn’t Glenn usually end up being the school board lawyer? Hmm. Well, some may think, “If John Trotter wants him, then we don’t need him.” Ha. I like ice tea and watermelon too. Are you going to give up these Southern traditions? I have known quite a few good superintendents from our area — even recent ones. Three come to mind. All three of these guys have recently retired. Blake Bass in Coweta County. John DeCotis in Fayette County. Jack Parish in Henry County. Why can’t you be a good superintendent and a nice man or woman at the same time? These men are very decent. They know how to treat their fellow human beings. They are not so proud that they cannot admit that improvement in their school systems might be needed. And they were good superintendents. Not perfect, but darn good! Now, are you going to eschew these men because I know a good superintendent when I see one? I also know a jerk when I see one. And, today, quite frankly, the ranks of superintendents, especially in the larger systems, are full of jerks. Dr. Sam King would be the best hire that the Clayton County School Board will have made in years…but the school board is too stubborn and too proud to admit that it has made a grave error in judgment by hiring Edmond Heatley. The board should pay him off. Reach an amicable settlement and send him — and his sycophants — packing. Pax Claytonia. Return Clayton County to Claytonians. 1 Response to Hey Clayton County School Board: Swallow Your Pride & Hire Dr. Sam King! I don’t know about paying him off, but I’d love to see him leave Clayton County Public Schools! We need someone who cares about the students more than how much they can drain from the system.